Today I'm excited to participate in the Children's Book Week Giveaway Hop hosted by I Am A Reader Not A Writer, KidLitFrenzy, Classic Children's Books, and Mymcbooks. This is one of my ways of saying thanks to all our followers and to hopefully welcome new ones. I love the book hops because I can go to the bookstore and pretend I'm on a shopping spree of what I like to buy most--Books! 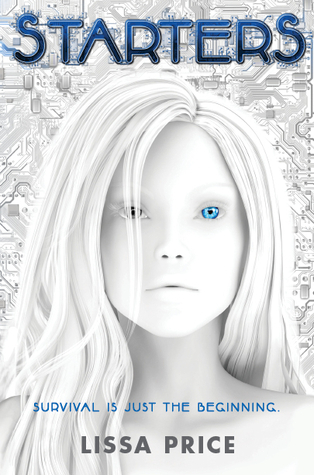 Today I'm spotlighting newer released YA books with a few older ones that I really loved. Here's the choices. You can click on the titles below the book covers for a description of the book. Two lucky winners will win the book of their choice. To enter, all you need to do is be a follower (just click the follow button if you’re not a follower) and leave a comment by midnight on May 13th telling me what book you want. I’ll announce the winner on May 16th. If your e-mail is not on Blogger, please list it in your comment. International entries are welcome as long as The Book Depository ships to your country free. Want more fabulous YA books? Enter my contest for WHAT SHE LEFT BEHIND, an amazing suspenseful story dealing with an abusive family by debut authorTracy Bilen. I loved that book and I don't read much contemporary. The contest link is at the top of the blog. And Casey's giving away a copy of THE DOWNSIDE OF BEING CHARLIE, another awesome YA book, until midnight tomorrow. The link is at the top of the blog for that too. And there's another YA giveaway on Wednesday when I'm interviewing Kim Harrington and giving away a copy of her YA mystery PERCEPTION (This was amazingly good!) and two books in her new middle grade series PARTNERS IN CRIME. Then next Monday I'm interviewing Christina, a 6th grader who blogs with Kristi at the awesome THE STORY SIREN and giving away a few newly released YA books. For those of you who are new here, I blog on Mondays spotlighting primarily debut and middle grade authors with book giveaways. In May and June I'll also be blogging on some Wednesdays to share more authors and their books with you. And on Tuesdays we share reader tips on writing, books and blogging. Casey's spotlights agents for children's, middle grade, and YA writers on Thursdays. It's a great resource if you write for children and are trying to get published. Here's the link to all the other blogs participating in the blog hop. I'd love a copy of Under the Never Sky. :) It sounds fantastic. Great way to promote CBW! I'd love a copy of Insurgent if I win. What great selections! I would choose Under the Never Sky, I think! How fun! 'Unraveling' looks good. Thanks for the giveaway! I'd love Pure. Ooh, how awesome! Thanks so much for hosting this awesome giveaway - I'm already a follower (I love your agent spotlights! ), and I'd absolutely LOVE to win Bitterblue. I can't wait to read it, since I enjoyed Kristin Cashore's first two books so much! And I just tweeted about it. (My Twitter name is @NovelingMuggle. :) Thanks for hosting! That's a huge blog hop, and you and Casey are super busy posting 3-4 times per week. Keep up the great work - we appreciate you! I'll share the giveaways on Facebook to help spread the word. Is it wrong to be proud of myself for having read almost every one of those books already? No need to enter me-but good luck to everyone else!! I'll probably choose The Immortal Rules! Tough choice, but I'm going to say Grave Mercy! Loved it so much! You guys awe awesome. I'd be glad to win any of these books, but I'd probably most want Insurgent. I would probably choose Starters, that's one that I've been wanting to read. I do have to say though that I've read The False Prince and it was great. Hard choice. 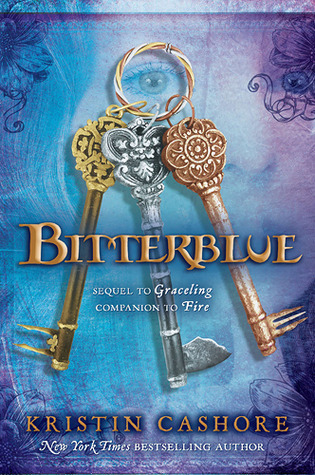 I'd love "Bitterblue," I really enjoyed the first two Cashore novels, but I still haven't read "Legend" and would really like to! Thanks so much for the giveaway. Id choose Bitterblue I think. I'm a GFC follower. Thanks for the giveaway!! I would love to win Unraveling! There are lots of good options, thank you for the giveaway! I have to go with Insurgent. Ooh...tough choice! I've been hearing so much about it, I'll go with INSURGENT. Thanks for the chance! Happy Children's Book Week everyone! 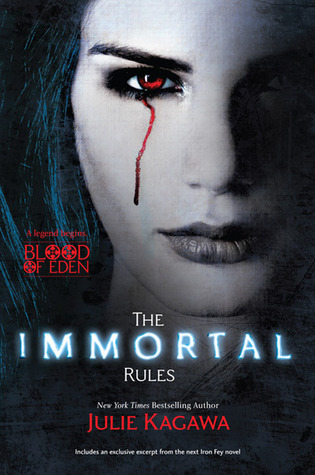 I have read quite a few of them already- but not- THE IMMORTAL RULES and it sounds awesome! Wow! Quite the giveaway. And so many awesome books! I don't think I could choose just one. What a great give a way! I would love to win Insurgent or The False Prince. I follow via GFC. 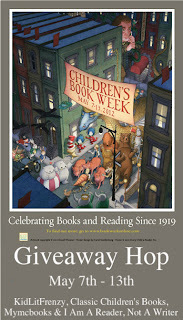 Children's Book Week! YAY! I would choose The False Prince. Thanks for the giveaway! I would love Bitterblue. I would love to win The Imortal Rules. thanks ever so much for the giveaway. Thanks for the giveaway! I'd love to win Grave Mercy. I follow as xxsquigglesxx. Wow, awesome giveaway. I would choose Insurgent!! Thank you for this awesome giveaway! I'd have to say I'd choose Grave Mercy. Heard so much good about that one! Thanks for the chance to win! I would choose Masque Of The Red Death. Ohhh... Such a hard choice. I would love PURE! Hmmmmm My son told me to choose False Prince. Awesome contest....I'm tweeting it and it will go (magically) onto my facebook account too. I love that you are going feature mg's....They are so good! Definitely BITTERBLUE! Thanks for this. Just in case my email is writerjess17(at)gmail(dot)com. Thanks for the giveaway, there is so many good books to choose from. I heard Unraveling was really good, so I would probably pick that one. I would choose Unraveling. It sounds so good!! I would love Under the Never Sky by Veronica Rossi! Since it has steampunk, I'd love to win MASQUE OF THE RED DEATH. Thank you for this lovely giveaway! :D I would love to win a copy of GRAVE MERCY. Wow, you are one busy person, Natalie! Thanks for the giveaway. I own most of these already but I gave away my copy of GRAVE MERCY, so I'd love to own that if I win. Oh great giveaway! I've been eager to read a lot of these for a while now! Thanks! 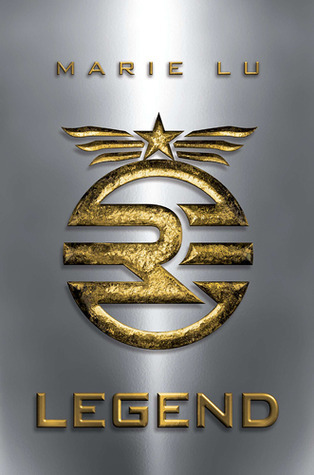 I'd like Legend please, if I win. Thank you! I'd like Under the Never Sky if I win! Thanks for participating in the hop and for the giveaway opportunity. If I were to win, I would want Under the Never Sky. Holy giveaway! And seriously, the odds are crazy on this one...but I am just one crazy gal. Consider me hereby entered :). There are a number I would love to win. Hmmm. 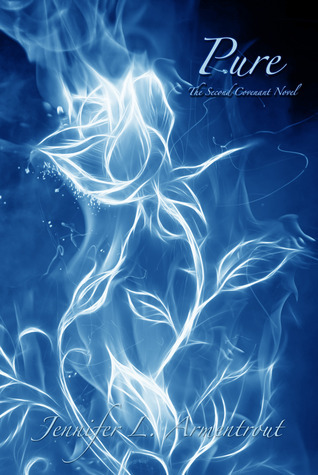 I've heard amazing things about Under the Never Sky. I'll pick that one. I really want Masque Of The Red Death as well, but since I have read it, the unread one takes first place. I would love Insurgent! I am already a follower via GFC: Lilian Cheng. I would love to win Bitterblue. I really want Starters. The cover is so cool. Legend! I've been just *this* close to dying for a copy of that. 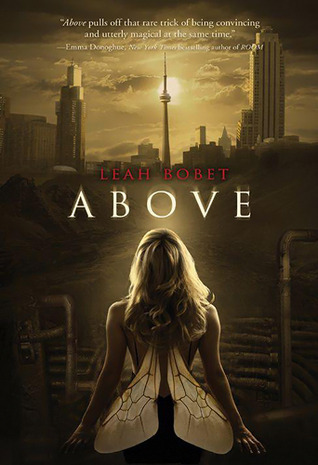 I think Above sounds really intriguing; I might not buy it for myself, but I'd love to win it! Hi - I'd love to read the false prince. I'm following you on GFC. Thank you! I'm a follower. I love your blog. I've been writing and not following blogs, which is a shame because Pen and Ink also has a post which includes Children's Book Week and the other two major holidays being celebrated this week. 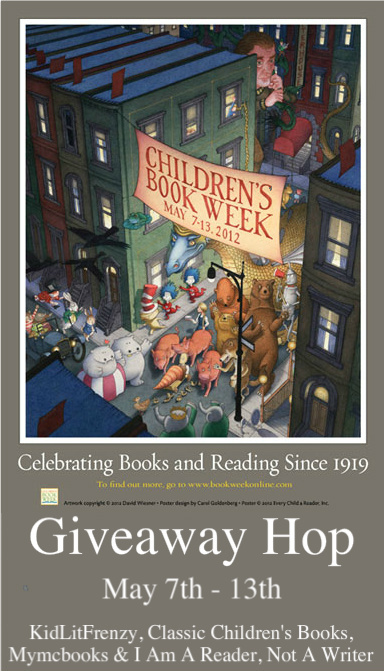 In honor of Children's Book Week, please share with us what book made you a reader? I didn't know it was Children's Book Week thanks for letting us know! Ohh. Hmm. So many awesome choices! Probably go with Under the Never Sky! Thank you for the giveaway! 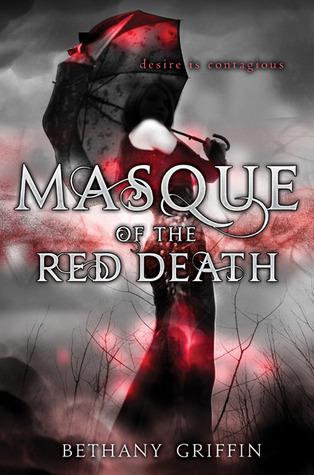 I'd love to win Masque of the Red Death - thanks for the giveaway! I would love BITTERBLUE thank you. Thanks for offering another great giveaway. 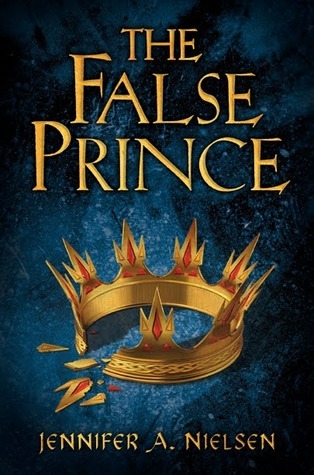 I am wishing for The False Prince by Jennifer Nielson. FASLE PRINCE is a popular choice. I've been promising that one to myself after I finish some distasteful chores...Thanks! I'd love to win Legend. I would like to win The Immortal Rules. It's no wonder why this is my favorite website! I'd love to win THE FALSE PRINCE. Thanks! What an amazing giveaway! I'd love to win a copy of Grave Mercy!! This was amazing giveaway!! I would love to win a copy Gvare Mercy. I would love to win Unraveling!!! Thanks for the giveaway! I would like UNRAVELING. Thank you for the great giveaway. I would love a copy of Insurgent. I would have to go with Pure. If not that, Masque of the Red Death. I would love to win Grave Mercy or Legend. What a great giveaway! I'd love to win Bitterblue! Great selection. I'm thinking about Insurgent or Above but hopefully I'll get a chance to make a final decision after I win. Ms. Natalie, we would love to enter to win The False Prince. It was at our school bookfair and we missed it. Thanks for the giveaway! thaks so much for makign this international!! Thanks for this amazing giveaway! I would love to win Starters! 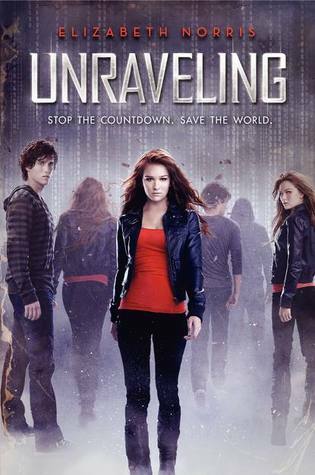 I would love to win Unraveling or The Immortal Rules:) Thanks for the Giveaway! I would love to win BITTERBLUE. Thanks! I would love a copy of Insurgent! I would love to win Above or Insurgent. that's a cool selection! I think I would love a copy of Grave Mercy :D thank you! I'd love to win The Immortal Rules. Thanks for the giveaway! GRAVE MERCY or THE FALSE PRINCE!!!! Masque of the red death for me! I'd love to win Bitterblue. I'd love to have either Grave Mercy or Insurgent. Thanks for the giveaway! I would love to win Grave Mercy! Cool giveaway. 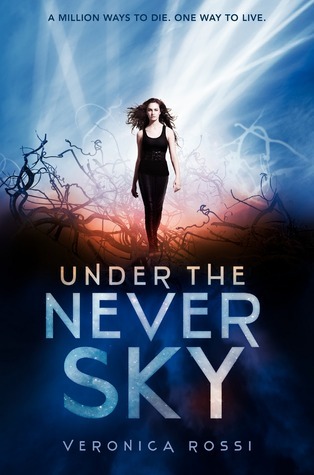 I would love to win a copy of Under the Never Sky. 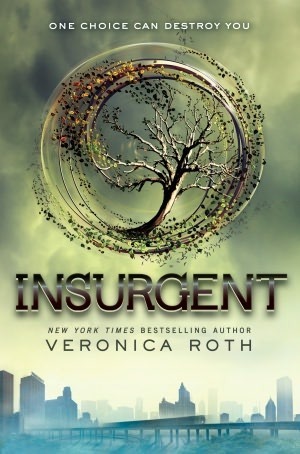 i'd love to win a copy of INSURGENT by VERONICA ROTH. Hoping to have time to browse some of the other blogs. I'm going to choose Unraveling - sounds intriguing. Thanks for the giveaway. Thanks for the great giveaway! I'd love to win Bitterblue. I loved the authors other two books so much! I want one of each! :) I would pick Above. Thank you for the great giveaway! I think I would go with The Immortal Rules. Maybe? Oh, I don't know, I want them all! Oh those are some hard choices right there. I think I'd pick Bitterblue. I am a GFC follower, username is Sonia. I'd love to win Above! I'd love The False Prince! Oh my gosh, I can't decide between Above and Bitterblue. Thanks, Natalie, for another great give away! 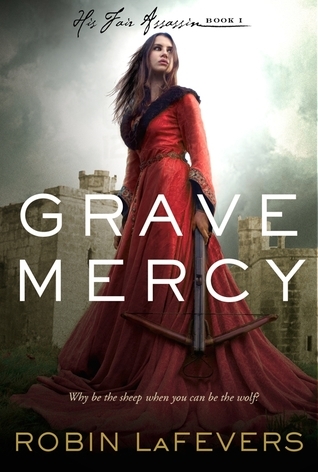 I would love to win a copy of Grave Mercy! I've really been wanting to read that book! Thanks for the chance! I'd love to be entered to win Pure. Thanks for the chance. I'd pick pure if I won. I am a GFC Follower (katja9_10). I would like Unraveling.